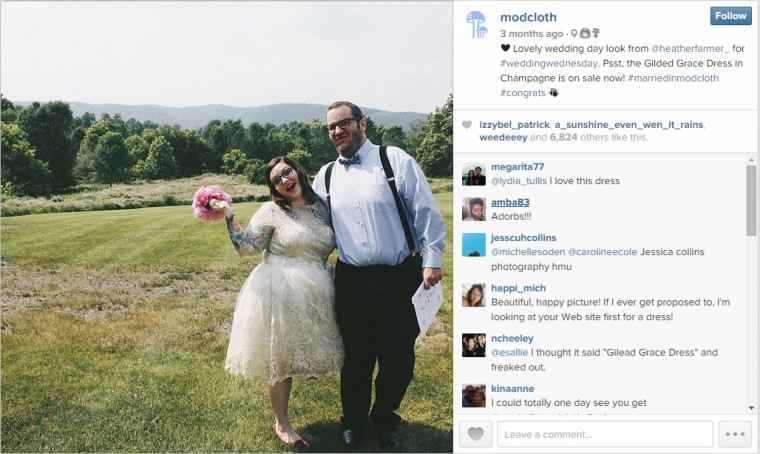 The reason for Instagram’s success lies in its engaged community. Research shows that Instagrammers are passionate about their platform and have a high level of interaction with content creators who use the network. 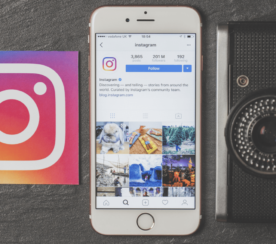 It’s no wonder why so many brands and businesses are turning to Instagram to reach new audiences and engage their followers. There’s a sense of creativity and inspiration among Instagram users as they utilize the network’s tools to create stunning content and share it with friends, family, followers, colleagues, audience members, and the rest of the world. Additionally, Instagram uses a visually focused design that allows for quick viewing and processing. Videos and images are displayed large on the screen, eliminating visual clutter, and directing the viewer’s eyes directly to the content you want to be seen. 90% of information transmitted to the brain is visual, and visuals are processed 60,000 times faster in the brain than text. Plus, 40% of people respond better to visual information than plain text. Simply put, our brains like it. When it comes to making the most of Instagram, it pays to have a strong foundation. If you’re new to Instagram as a brand and don’t know where to begin, I really recommend checking out Instagram’s own business portal, where you’ll find blog posts, infographics, and other resources to educate you on how to best use the network to your advantage. 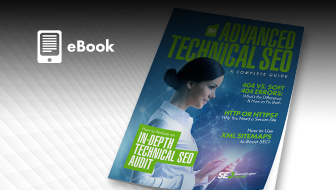 This practical approach has made it easy for businesses to adopt the network. 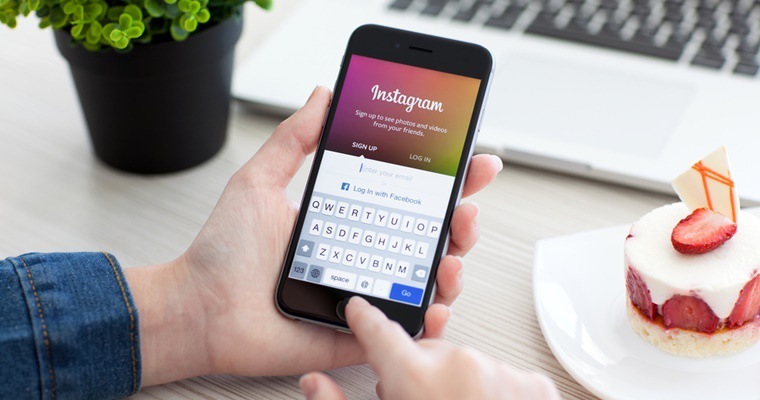 To further engage businesses to use Instagram as a marketing tool, the network has created several case studies to show its success, touting that brands who use Instagram can achieve “results two to three times above Nielsen online averages”. Levi’s had a 24-point lift in ad recall, nearly three times over the control group. But what about really succeeding? What can you do to make this truly work as a marketing channel for your business? Here are five tactics that you can use to make the most of Instagram. The beauty of Instagram is in its accessibility. Download the app onto your mobile device and you can instantly take and share photos on the fly. But, as we all know, smart phone and tablet photos can sometimes be a bit fuzzy, blurry, or just not right. Filters do a lot to save those photos and it’s one of the ways Instagram has become a favorite social network. But, when we look at the accounts that see the greatest success, we see that they go the extra mile to produce high quality, visually-stunning content. If you are going to import/upload pictures from anything other than your smart phone, then make sure to get the best dimensions for Instagram photos. One option would be to use your DSLR, professional camera, or other equipment to create your content as you would normally and then download the photos to a mobile device to upload to Instagram. You could also use an application like Gramblr to upload images from your PC. Another option would be to use Instagram photo editing applications. Instagram photo editors and apps can really make a huge difference in the quality of your images. Afterlight: If you want more filters than Instagram already offers, use this app to take advantage of 59 adjustable filters, 128 frames, and 66 different textures. VSCO: Professionals and amateurs alike appreciate the power of this app, which allows for you to adjust and edit your photos with themed filter packs, settings for saturation, warmth, etc. Whitagram: This app adds a white letterbox to your landscape and portrait photos which can make your images square. Letterboxed images, while simple, will look great once they are uploaded. 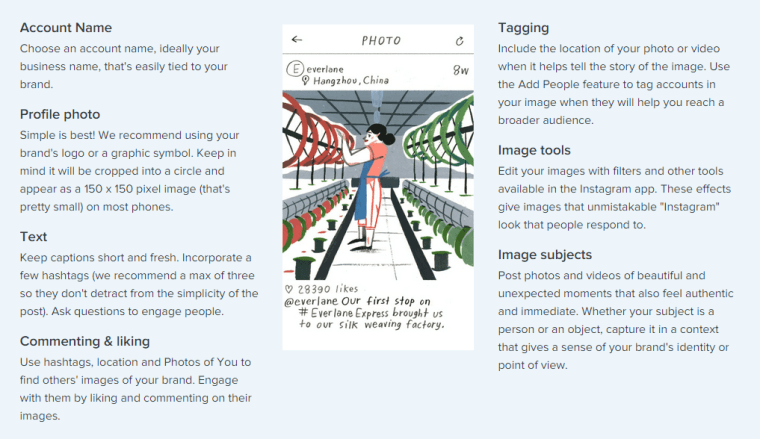 Pic Stitch: Turn handfuls of photos into collages that you can share on social networks or print out. Tons of layouts to choose from, unlimited possibilities. Aviary: Editing tools like frames, filters, and more come together in this popular mobile image app. Lumify: For Instagram video, this app is a powerhouse. Not only does it offer free video editing capabilities, but it can also add soundtracks. 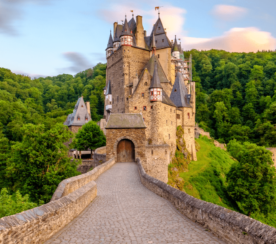 Hyperlapse: Use this app to create time-lapsed videos for Instagram, which can be great for tourism and hospitality businesses, outdoor recreation, event marketing, and other industries that want to capture the changing of a scene. Quick: Need to overlay text on top of your images? This app makes it simple. Bokehful: If you love the look of bokeh in your photos, use this app to add it in – no additional lighting required. Snapseed: Professional photo editing software is available with just a few clicks in this crowd-pleasing favorite. Storytelling is a powerful tool in all marketing. When it comes to Instagram, you’re presented with the same storytelling opportunities. Using visual content, you can create an experience for your customers, clients, or audience members where they feel engaged and valued. And, you can compel them to listen. Start by thinking about how you can frame your visual content around a story. If you’re creating content around an event for example, it’s easy – start with the planning and show what happens before, during, and after. Give the audience a sneak peek behind what goes into making your event a success. Working on a new project? Introducing a new line of products? Looking to create a lifestyle around your brand? All of these things can be accomplished through visual storytelling. Herschel Supply Co. has an ongoing narrative about being on the move, which connects to their lines of bags and travel essentials. 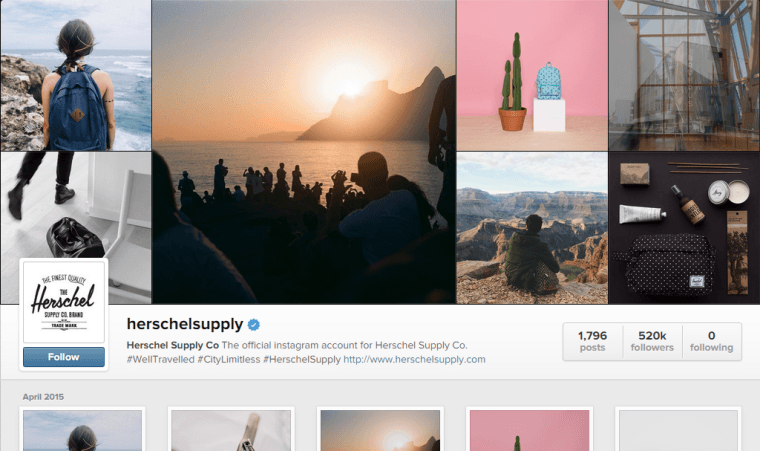 Their photos, which showcase their products in action, packing tips, and narratives on exploration and travel, draw users into the adventures of those who use Herschel Supply Co. products – and inspiring them to create adventures of their own. 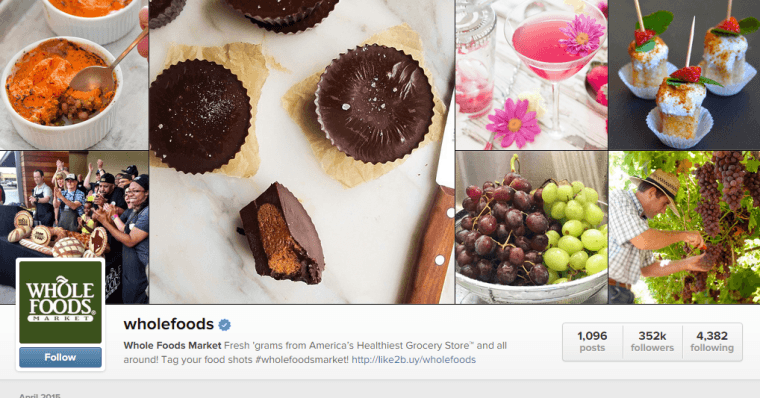 Whole Foods also takes a similar approach, this time focusing on the healthy lifestyle and wellness, sharing not only recipes and photos of their products, but also photos that focus on sustainability and community involvement. This is a great example of how you can use visuals to tell your brand’s story specifically from the perspective of what your company values. People who follow you on Instagram are inherently interested in what you have to offer. Unlike other social channels where it may be more difficult to find and engage with followers, Instagram keeps an open door to them. Not just post your own photos and call it a day. Instead, make time to like others’ photos and leave comments, especially if your followers are tagging you. Follow established followers on other social media platforms. The cross promotion and connection will make a difference. Make time to listen to your feedback and comments. See what people are saying. That type of feedback can prove invaluable. 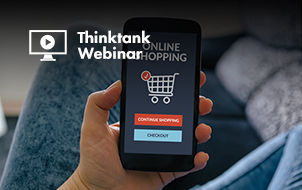 There are several great brands who understand the importance of engagement. For example, A Day at the Races with Indy 500 was an experience tailored by the Indy 500 race for their race fans and followers. 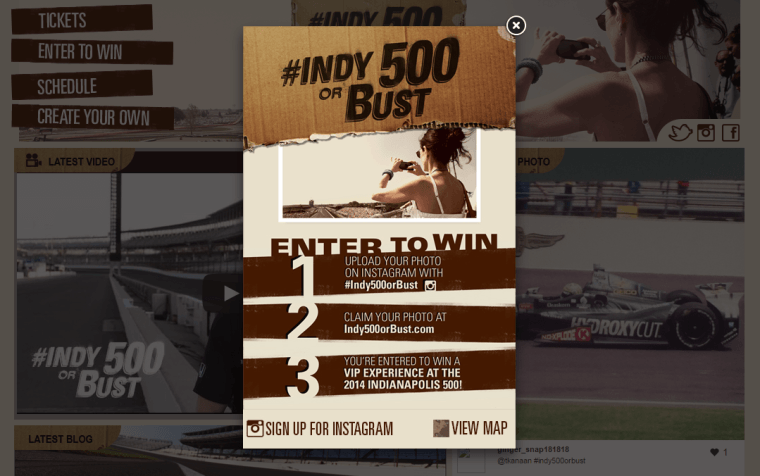 They built a portal website to drive the promotion and then used Instagram to get people engaged with the event. They also found a way to give back to their followers through their contest. 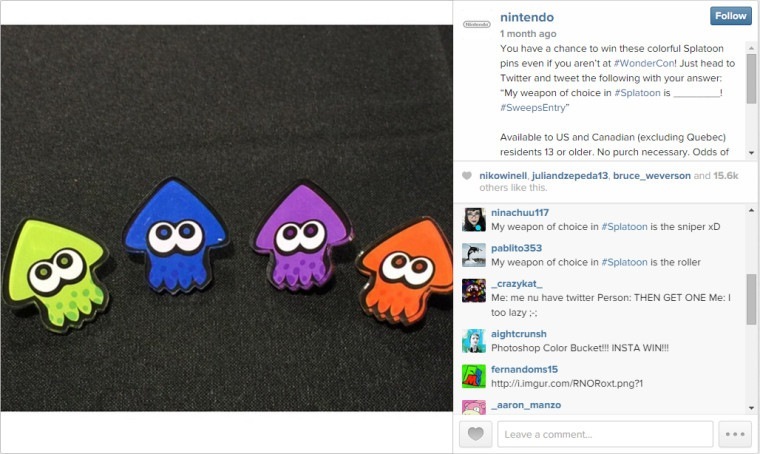 Nintendo engages with fans through open ended questions, sweepstakes, and focusing on how their products fit into their lives. 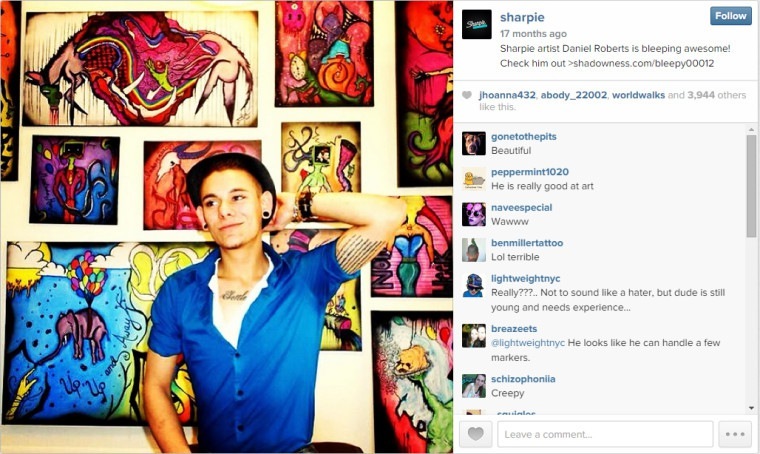 Sharpie powers their Instagram account with fan-submitted doodles created with their line of markers and pens. These are just a few examples of companies who get it. So, the big question is: what are you going to do to start engaging more? 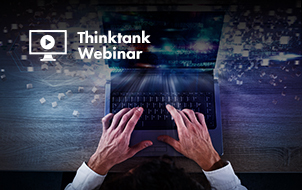 Hashtags have become synonymous with social media and can be used on virtually every network to find, track, share, and participate in topics of interest. On Instagram, hashtags reign supreme, connecting users to images they might be interested in and consequently, businesses. Use hashtags to your advantage by developing specific hashtags relating to your brand, your event, your products, or your promotion. Promotion-specific hashtags are a powerful tool for measuring the ROI of your campaign while also encouraging engagement. National Geographic hosted a #MyAWAY Contest where users could upload photos of places that to them are an escape. 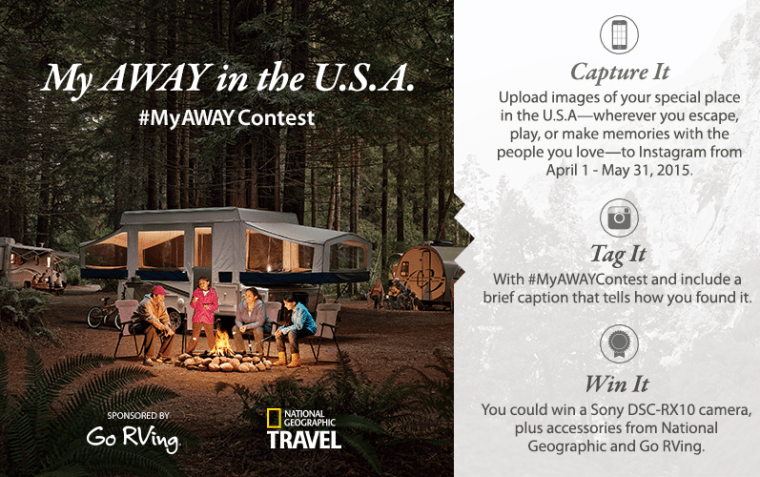 On Instagram, they would tag the photos with #MyAWAY and at the end of the contest period, one lucky fan would win a digital camera plus goodies from NatGeo and Go RVing. 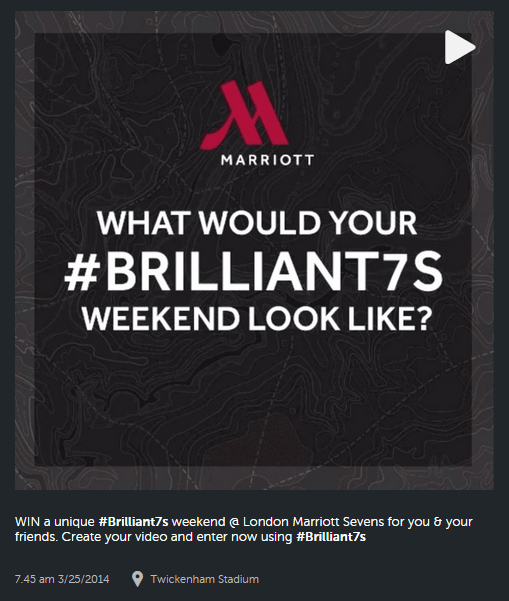 Marriott created a video contest for users to win a #Brilliant7s weekend package at the London Marriott Sevens, which was a unique way to promote one of their properties. Contests seem to work well on Instagram because of the highly engaged audience, but that’s not the only thing you can do to take advantage of hashtags. 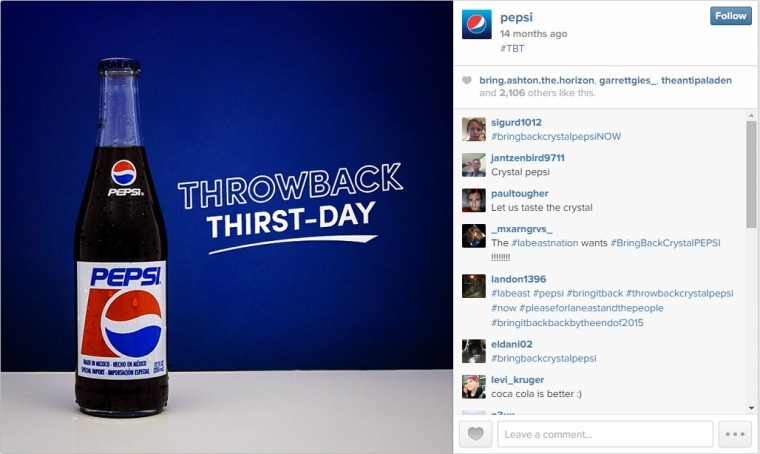 You can also participate in user events and activities, like Pepsi did for #ThrowbackThursday (#tbt). Bottom line: Use hashtags to further your engagement with your users. To create lasting relationships with your followers, they have to feel like they are getting something out of it. 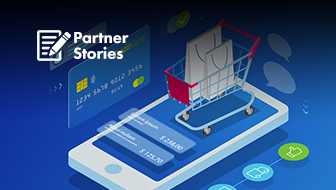 From discount codes to reaching out to connect with influencers one-on-one, brands that go the extra mile to reward their Instagram followers often see better success. One brand that does this well is American Express. They offer Instagram followers backstage entries to events that are of interest to them, such as fashion shows, sporting events, and concerts. In addition, some of their content is tailored specifically toward their small business audience. In those posts, usually tagged with #shopsmall, they spotlight independent business owners (a reward in and of itself) and give their followers inspiration or insight into their success. Don’t think a reward has to come in the form of a discount or a prize. 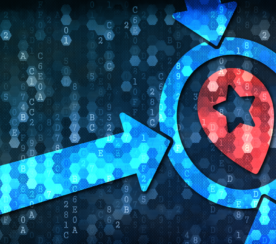 You can also offer value by giving your users exclusive content or giving them priority. Non-profit charity: water rewards their donors by showing their good works. This blends together the elements of engagement and storytelling described above while also making the charity feel more accessible. Charities that show their work in action or can demonstrate how donations are being used are perceived as more trustworthy. Something charity: water has always done is build a strong brand based on showing what water means to those who receive it. The power of photography is integral to their brand identity. 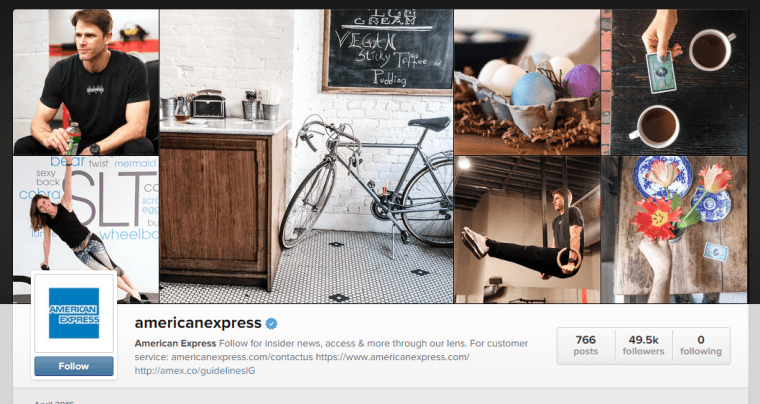 All successful Instagram accounts, no matter what they are associated with, use one or more of these best practices to build loyal followings that not only drive traffic to their websites, but also drive conversions, awareness, and brand sentiment. Not a bad deal for keeping active with posting photos and videos, right? These are just a few examples – there are plenty more and I’d love to see them. Leave a comment with your best Instagram tips for success and examples of accounts that are doing it right.